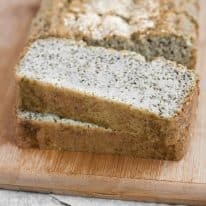 The idea that low-carb bread is actually possible to make AND tastes good is a dream come true! 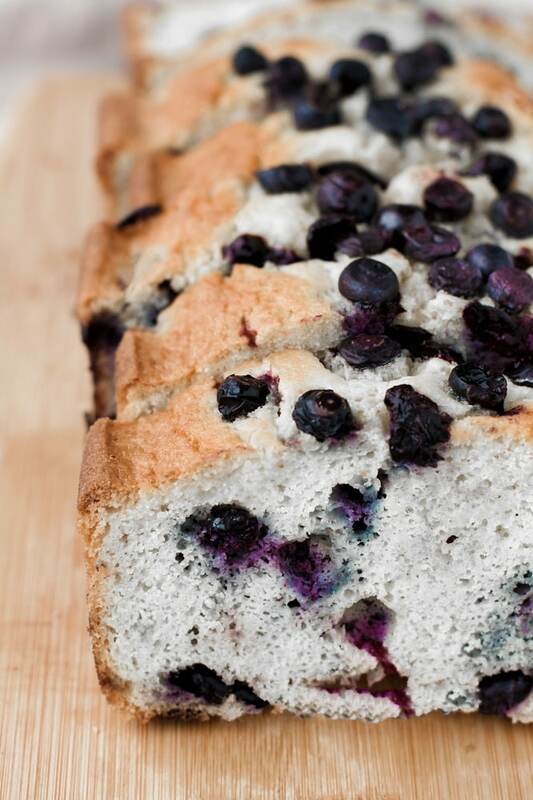 Unlike traditional bread recipes, this Low-Carb Lemon Blueberry Bread is full of wholesome ingredients and is perfect for those who follow a ketogenic and paleo lifestyle. 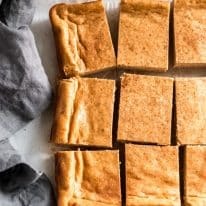 After a lot of tinkering around with baking keto-friendly bread, I have landed on this delicious and tart dessert bread recipe that you will absolutely love! 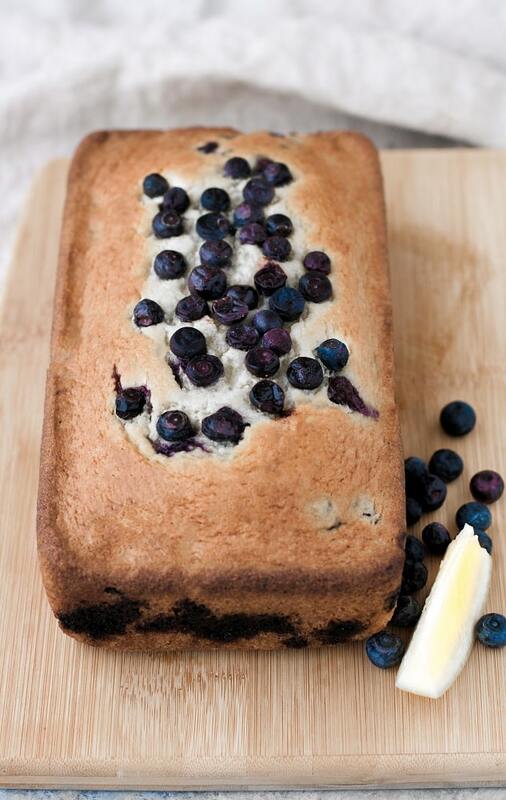 Made with lemon zest, fresh blueberries, and sweetened with monk fruit sweetener, we love to enjoy a slice mid-morning with some grass-fed butter on top and a cold brew coffee on the side. YUM! It’s absolutely delicious and keeps us full and focused for hours! This bread is safe for those who need to limit or altogether eliminate their dairy intake. To provide the bread extra moisture, I used my favorite dairy-free mayonnaise. As a note, if you personally consume dairy, the mayonnaise in the recipe can be substituted for sour cream. To sweeten the bread, I used Lakanto Monk Fruit Sweetener. 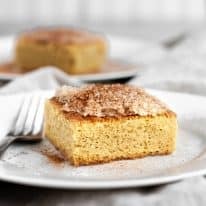 This sweetener is used in virtually all of my keto dessert recipes as it is a net-carb-free, zero calorie, and natural sweetener that looks and tastes just like traditional sugar. Monk fruit sweetener will not raise your blood sugar nor will it kick you out of ketosis! If you want to try monk fruit sweetener or need to replenish your pantry, you can use code “REALBALANCED” for 20% off your total order! 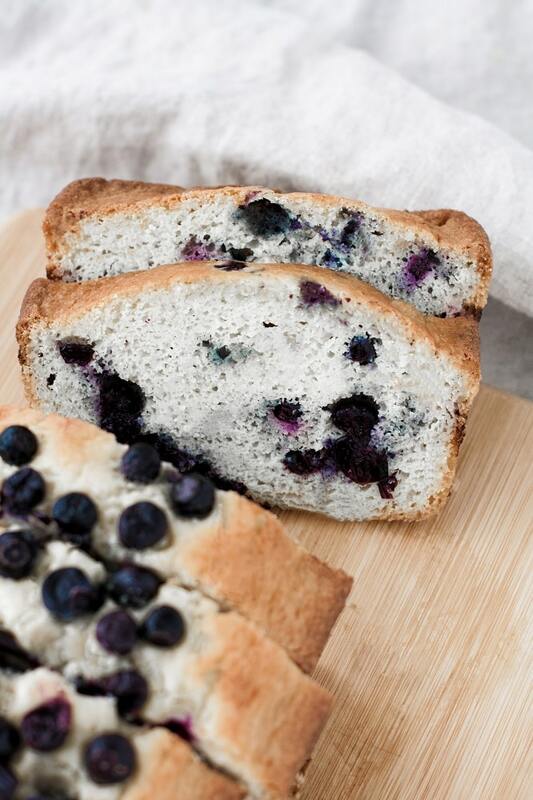 One bread slice contains 4.9 grams net carbs per serving. 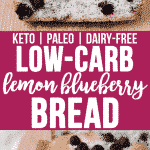 This Low-Carb Lemon Blueberry Bread is low-carb, keto, dairy-free, paleo, gluten-free, grain-free, vegetarian, and refined-sugar-free. You can find more Real Balanced low-carb recipes here! 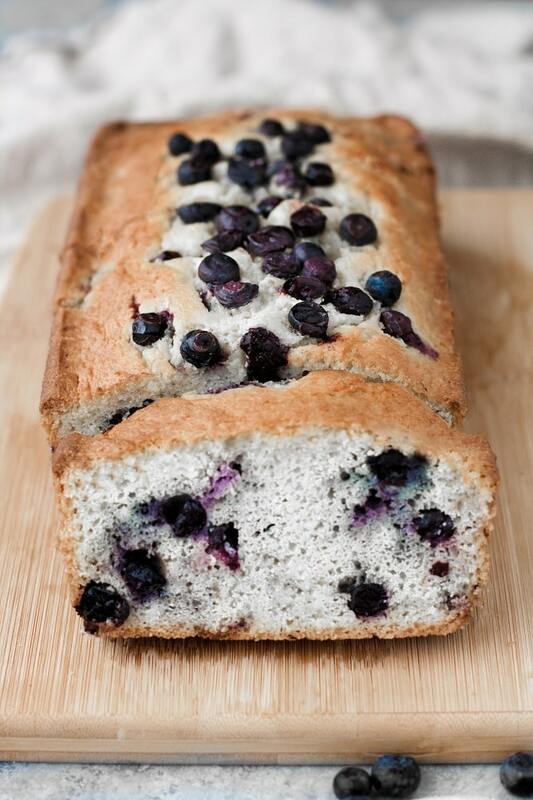 This Low-Carb Lemon Blueberry Bread is a flavorful and tart keto-friendly dessert! This recipe is low-carb, keto, dairy-free, paleo, gluten-free, grain-free, vegetarian, refined-sugar-free, and contains only 4.9g net carbs per serving! Preheat oven to 350 degrees and spray 9×5 inch bread pan with non-stick cooking spray or line with parchment paper. In a mixing bowl, whisk dry ingredients together. To mixing bowl, add eggs, egg whites, mayonnaise, lemon extract, vanilla extract, and lemon zest. Mix with electric mixer until all ingredients are well-combined. Stir in 3/4 cup blueberries. Transfer dough to prepared bread pan. 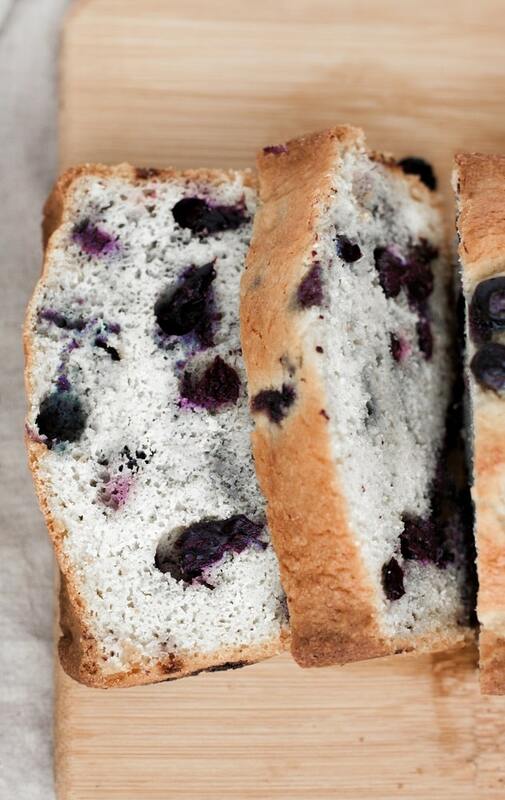 Bake bread for 20 minutes, remove from oven, top dough with remaining blueberries, and return pan to oven. Bake bread for 50 minutes. Remove from oven and allow bread to cool for 2 hours. 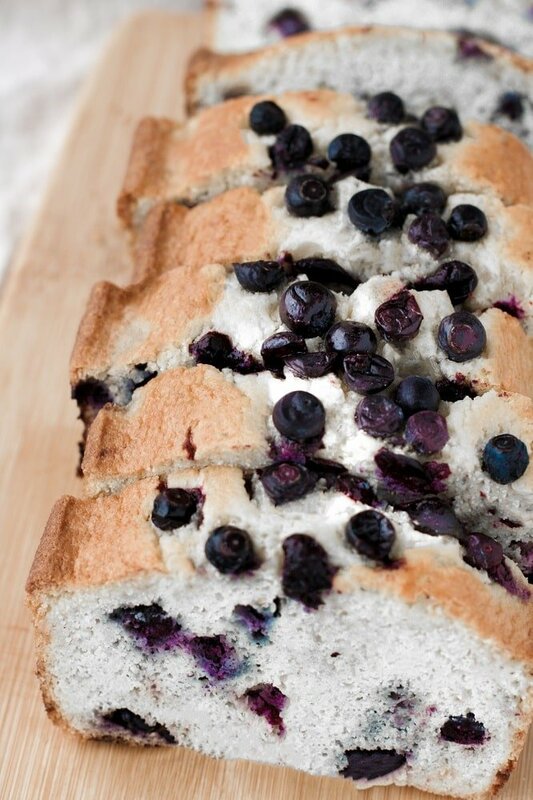 Carefully remove bread from pan, slice, and enjoy! If I wanted to make these as mini Muffins or regular Muffins, any idea how I would bake them? Also, is the mayonnaise and sour cream a direct exchange? Hi, Amber! I wish I could say for sure about the change in bake time, but I can’t be positive; however, I’d venture to guess that the bake time would be relatively close to the original recipe. If you try this, just be sure to watch the oven closely so they don’t burn. As for the substitutions you mentioned, yes, you can sub sour cream in for mayonnaise at a 1:1 ratio. Enjoy! Thank you for a splendid recipe. The only change I made was to whip the egg whites until triple volume and fold them into the batter as the final step. The final product was light and airy, and delicious with a smear of mascarpone cheese. So happy to hear that you enjoyed, Mary Ann!!! Thank you for taking the time to leave a comment and recipe rating!!! Keto baking is hard but this was delish, will make again. So glad you enjoyed, Marcella!!! Thank you for your comment! Subbing in almond extract sounds amazing, Cat!!! So glad you enjoy the recipe and thank you for your comment!! Can I swap the almond flour for all coconut flour? I’m allergic to almonds. 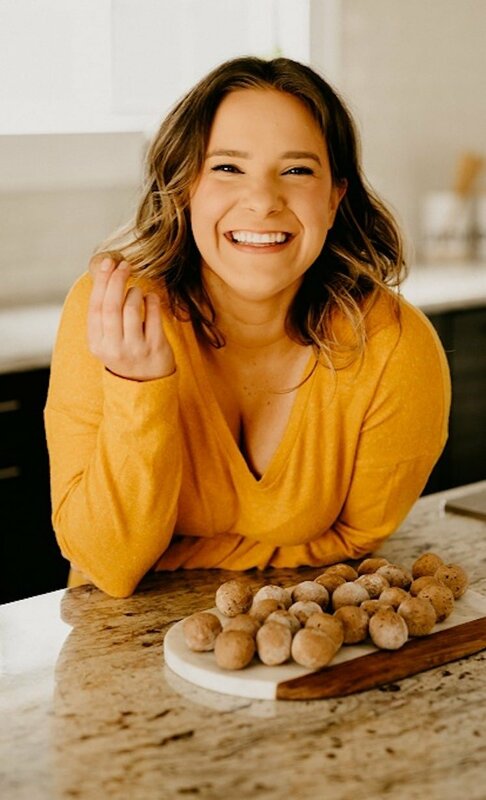 Hi, Courtney! Unfortunately, the two flours don’t sub in well for one another. I have a nut-free Low-Carb Chocolate Chip Muffins recipe and will be publishing a nut-free Lemon Poppy Seed Muffins recipe soon too. Is it possible to use swerve for the sweetner? Absolutely! 🙂 It would be a 1:1 ratio sub for Swerve. What can I substitute Monk fruit with? Can I use Stevia? Monk fruit causes stomach upset for me. Hi, Erich! Yes, you could use stevia, but just be aware that you’ll need a lot less stevia than monk fruit sweetener. Be sure to check the conversion chart for the brand of stevia you use to determine the correct amount.